The Richmond Hill Hatchery recently completed a major renovation that includes a new state-of-the-art hatchery and regional administrative facility. 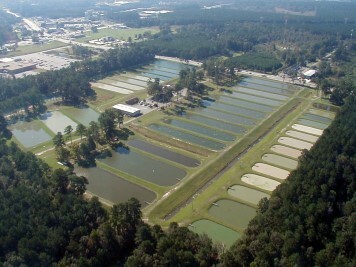 The new hatchery building has the capacity to increase fry production by more than 25 percent compared to the old facility, meaning more bass for more fishing opportunities for anglers. Learn more about the renovation as well as how striped and hybrid bass are created. 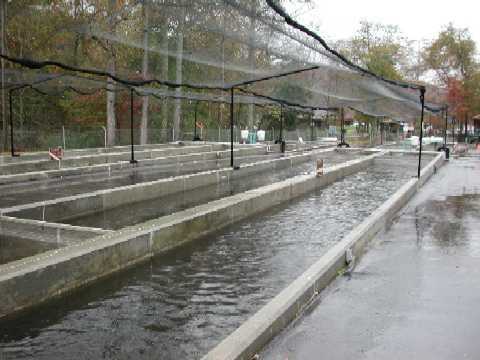 The Richmond Hill Hatchery is the sole producer of Atlantic striped bass fry, hybrid striped bass fry and white bass fry in the state. 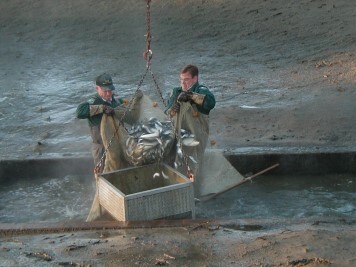 There is no natural reproduction of hybrid bass in Georgia, and very limited natural reproduction of striped bass. So, the entire inland fishery of these two species is dependent on these efforts at Richmond Hill. In June, the hatchery will host its annual Kids Fishing Event. 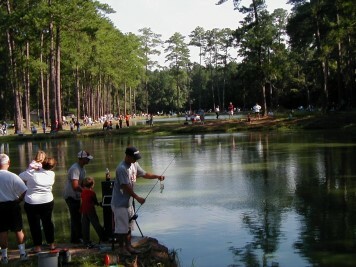 In the past, this event has brought in over 200 kids and their parents ready to catch some fish. 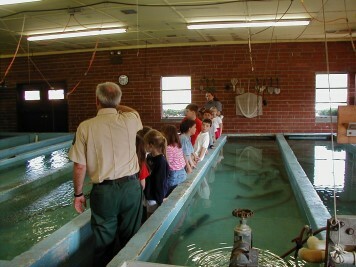 The hatchery annually produces about 50,000 catfish, 8 inches in length, to help support the Kids Fishing Program and make sure the children see, catch, and touch a fish. Along with fish ponds, the hatchery also boasts a one mile long nature trail where visitors can see all sorts of wildlife.